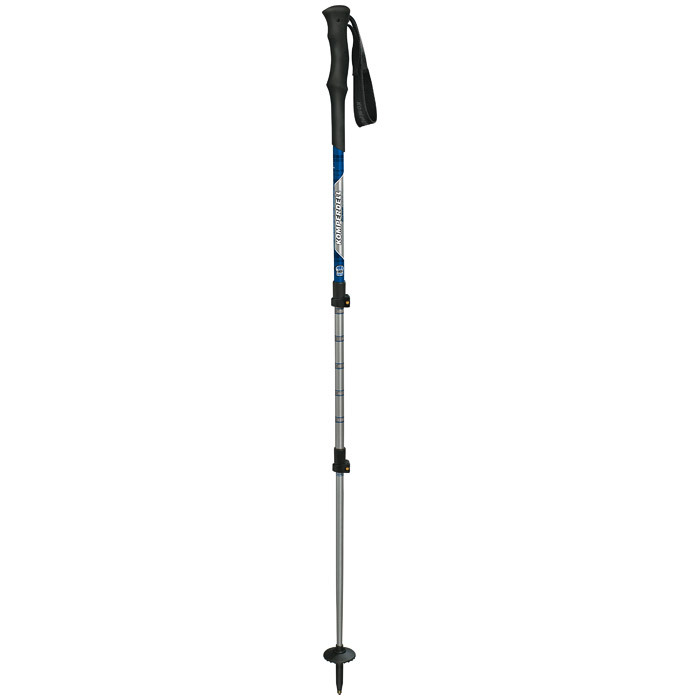 Easy-to-adjust, high-performance Komperdell Explorer Power Lock trekking poles are a great option for hiking, backpacking or snowshoeing. Lightweight, durable construction and the POWER LOCK II system equip the poles for varied conditions. An extended section of foam beneath the upper grip allows the pole to be held lower on the shaft, eliminating the need to shorten the pole every time you encounter a steep slope. Made from aluminum alloy 7075-T6. Includes expedition foam grip, padded strap, vario trekking basket and carbide flex tip.